– End the exploitation of postgraduate research student workers, with all student workers receiving a living wage, a reasonable workload, proper inductions, training and support, fair and transparent teaching/demonstrating allocations and no undue pressure to teach. – Fully restored funding to rebuild Further Education. Bring it back into Local Authority control. – Fight against racism on our campuses, both that which is carried out by the institutions of the uni, against students, and the ideology and theory of racism which is reproduced in academia, through decolonisation. 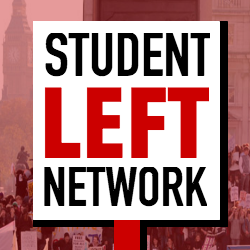 – Student support for strikes.